Both The Hubby and I are big carnivores and enjoy game meat. 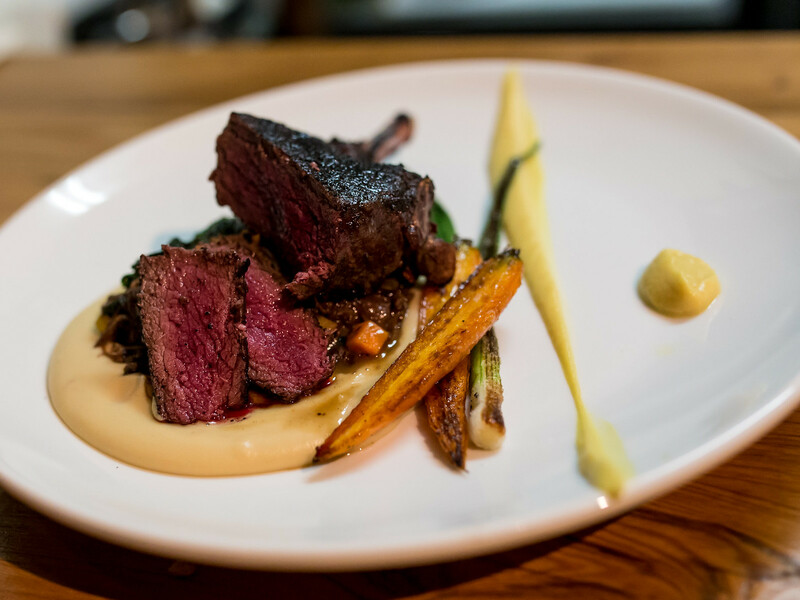 When I heard about Antler, a new restaurant whose menu features local and seasonal ingredients with plenty of game, I started pitching the restaurant for every occasion. We ended up visiting during the holidays for a friend’s birthday and sat at the chef’s table with a front row view into the kitchen. 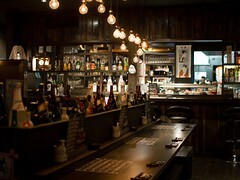 Atmosphere: Antler was a long and narrow restaurant, lively, dimly lit and cozy. My trio sat at the very back, in front of a window peering into the brightly lit, compact kitchen. I really enjoyed watching the constant of flow of work in the tiny space and how efficiently everyone moved around each other. There wasn’t a second of downtime feeding the full restaurant. For a Tuesday night, the room was packed. I overheard many diners raving about previous meals at the restaurant already. 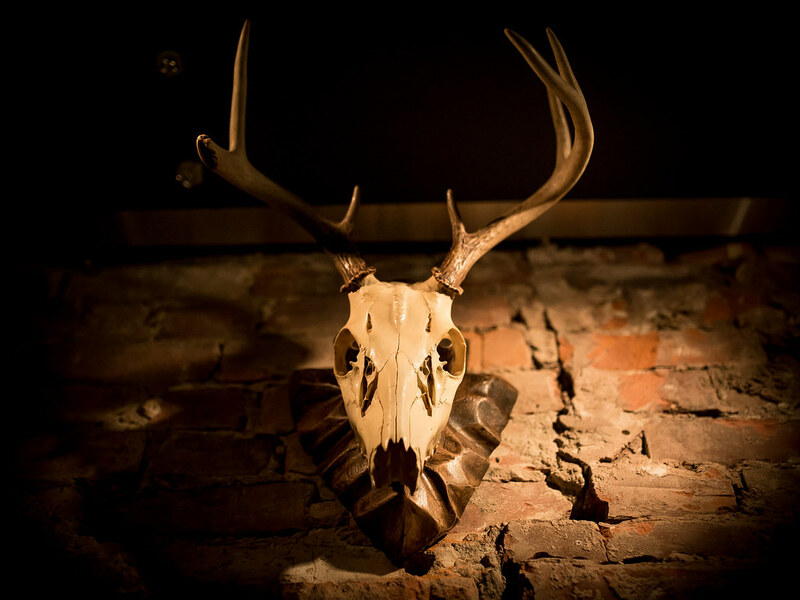 Considering Antler only opened at the end of October, it was clear they were quickly becoming a neighbourhood favourite. 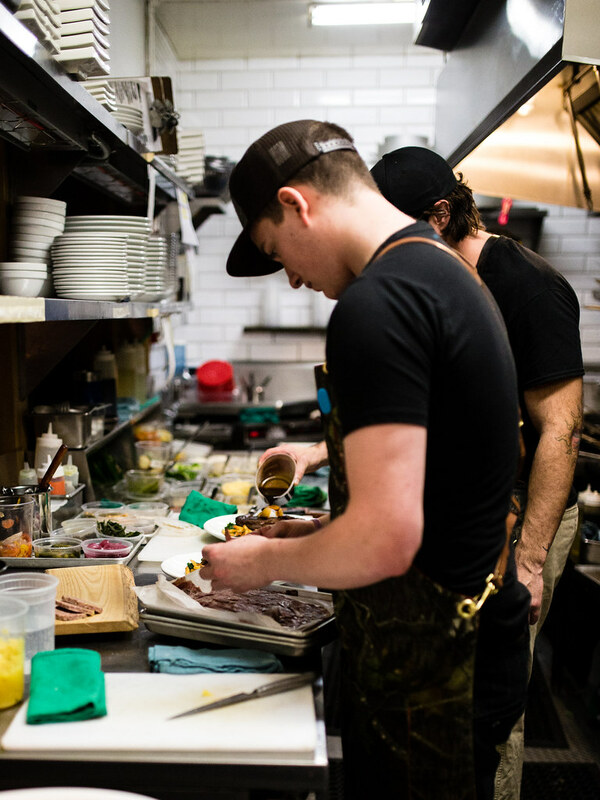 Service: Being at the chef’s table meant we saw how all of the components of our dish came together, from the first smear of sauce to the final garnish. Each plate was served and introduced by the chef who prepared it, including executive Chef Michael Hunter. I really appreciated and enjoyed the personal touch. It was also the rare occasion where I was able to interact equally with front of house and back. 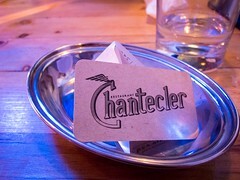 We realized during our appetizers that our voices could be heard clearly, as we debated about the main ingredient in a sauce and was provided an answer by one of the chefs. 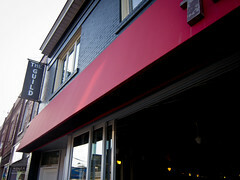 The front of house server made sure we were comfortable and that we always had a drink in hand. 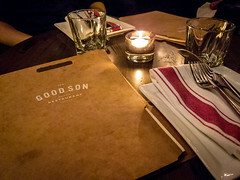 Food: Glancing through the menu, I was worried, everything looked good. I had to remind myself that 3 people could only eat so much, there was a physical limitation. To start, I narrowed my choices down to the Wild Boar Gyoza and Charcuterie board. 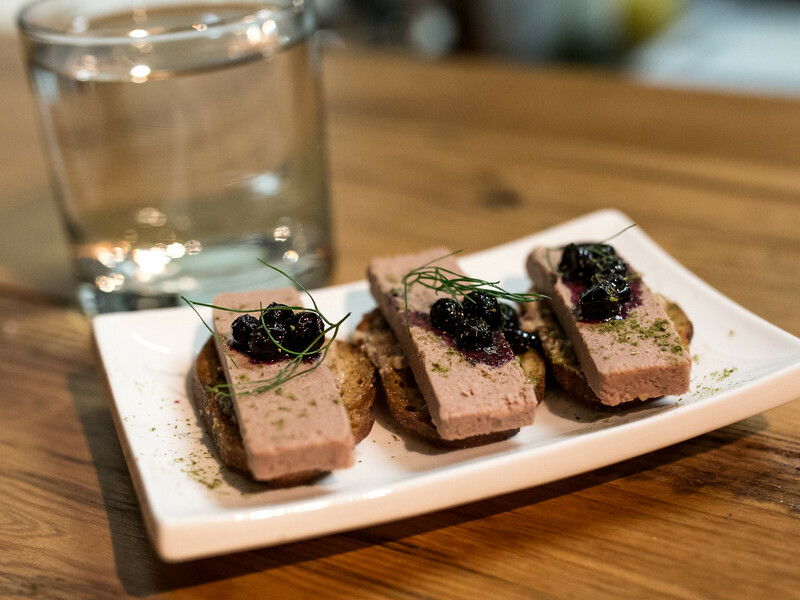 Before our first dish arrived, we were treated to a generous complimentary bite of pate on a crostini with a blueberry compote. 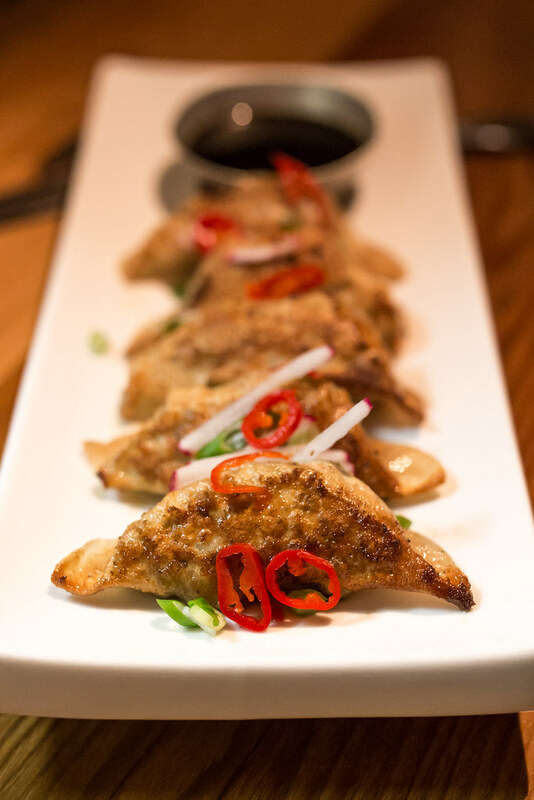 Really, really good and made me happy we chose the charcuterie, The plate of gyozas arrived with a sweet soy dipping sauce, crispy on the outside and filled with savoury, lean boar. 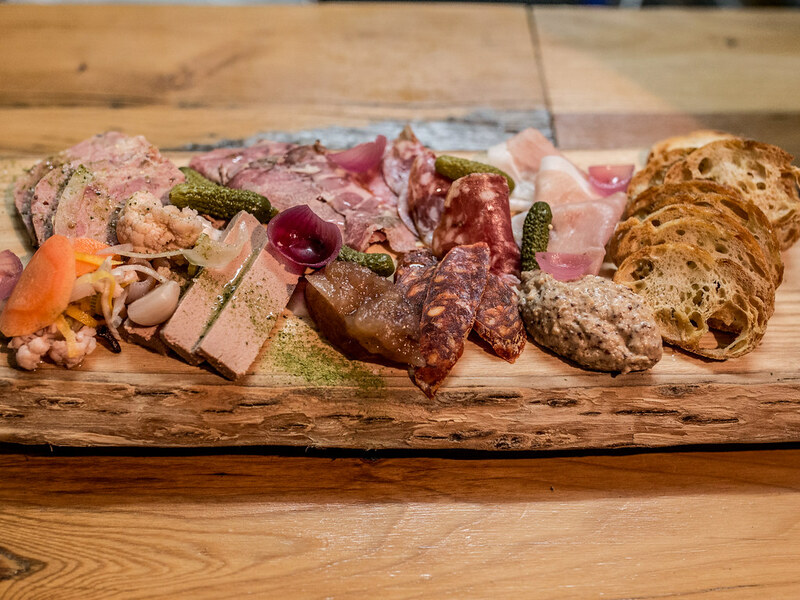 Our charcuterie board was overflowing and built with three servings for each selection. Each of the cured meats had a strong flavour; the pate was creamy, rich and I also really liked the the crab apple mustard, which was sweet and tart. For entrees, we opted to split three dishes, the Pappardelle with braised rabbit, Spice Ash Crusted Rack of Deer and Rib Eye with a sous vide duck egg. All three entrees were delicious and I still think about them today. My favourite though would have to the pappardelle. 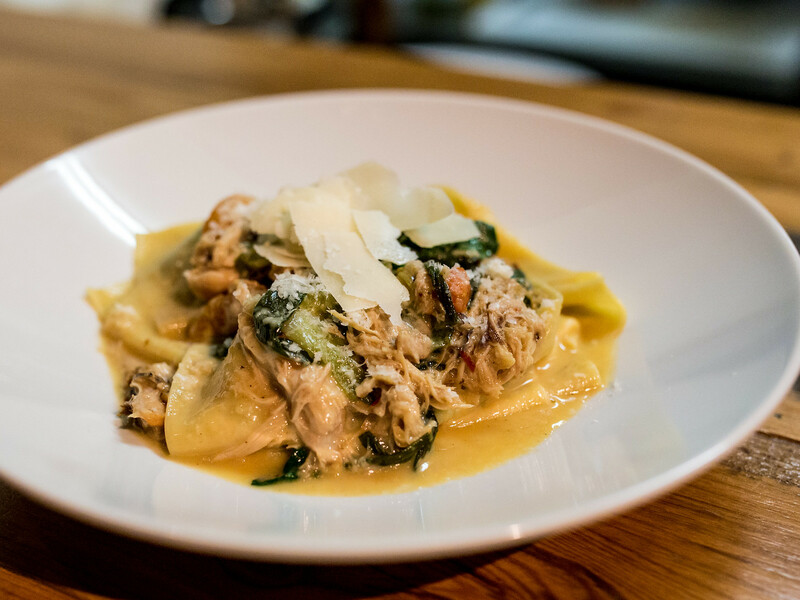 Thick sheets of pasta coated with a butter sauce and entwined with shreds of rabbit. Rabbit is a white meat and I’ve always found it much tastier and more flavourful than chicken. Antler’s rabbit was soft, moist and delectable. 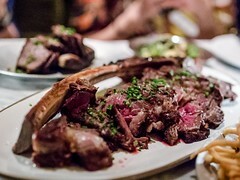 Between the two red meats, I prefered the fatty ribeye over the lean deer. The crust on the lamb chop was dark, well seasoned and each slice was incredibly tender. The deer tasted gamey but wasn’t overwhelming. This was a beautiful piece of meat. 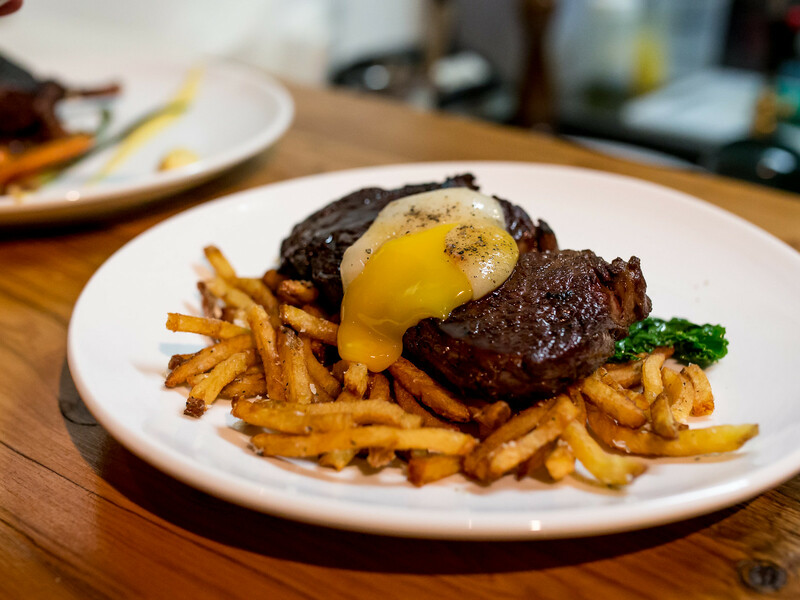 For me though, the ribeye cooked to medium with truffle parmesan fries and a yolky egg was the winner. I just like the taste of fat. 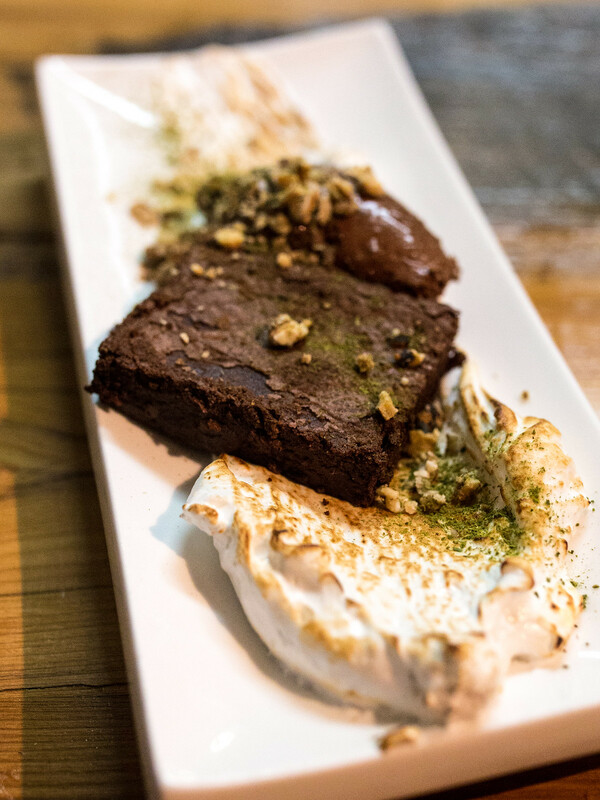 Dinner ended with a Warm Chocolate Brownie with forage black walnuts, chocolate mousse and toasted meringue, not too sweet but rich and indulgent. 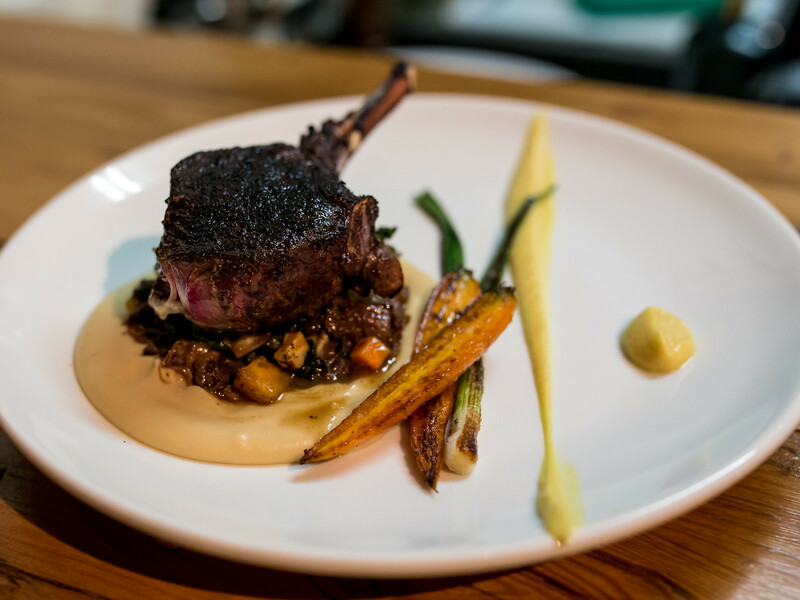 Antler was the last restaurant I dined at in 2015 and it was one of the best. In 2016, I hope to be back for the Game Burger and more of that Pappardelle.